Want to be notified of new releases in tricecold/hythonWedger? 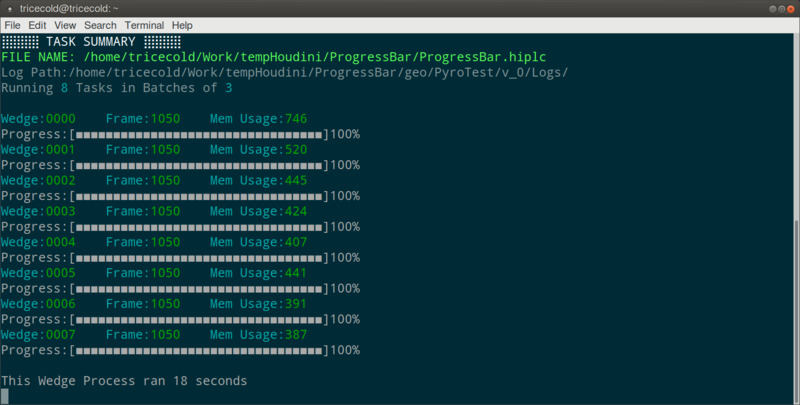 This little code wedges a houdini file using multiprocessing.pool . Works especially best with single threaded tasks running in parralel. I also added functionality to make flipbooks and MP4 out of it. Initial development stage is to have a strong hython base, then to make an HDA out of it. Some tests showed that around additional %30 optimized gains were made if POP simulations were run in parralel. I beleive the results will scale much better with non-mnultithreading friendly tasks, such as Solid Solver or Bullet Solver. This HDA creates a txt file to be run with the main file. USAGE Load the HDA in your scene Use it instead of a file Cache Play around batch size and max tasks to optimize performance based on your needs. Add fail safes for memory usage , if possible fail pools that go over a limit of memory use and retry once more pools are complete.